Good morning! 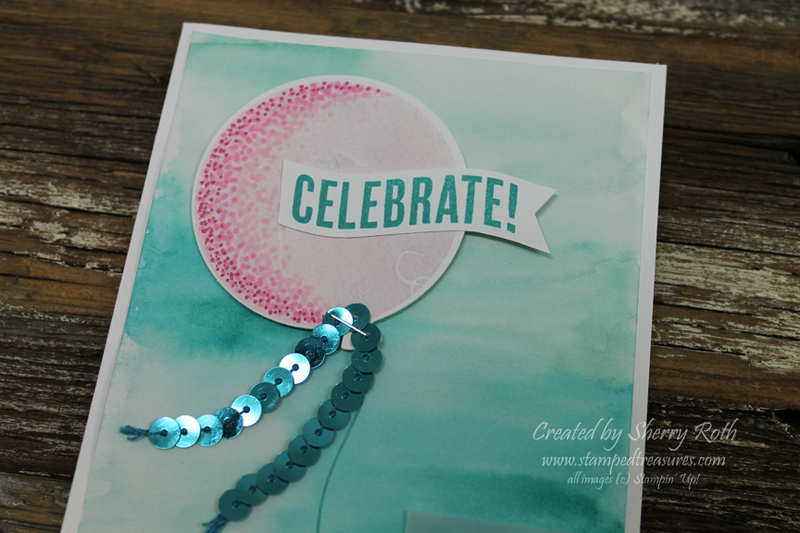 The card that I'm sharing today is one that I created for a set sampler swap that I'm part of. I love how the card turned out but it took me awhile to figure out exactly what to do because my assignment for the month was Blendabilities but the stamp set was a solid image set. So after doing a bit of research online for Blendabilities techniques I found one that I could modify a bit and make it work. It's the Pointillism technique. You can find the tutorial here. It's a technique where you use tiny little dots to color and shade. 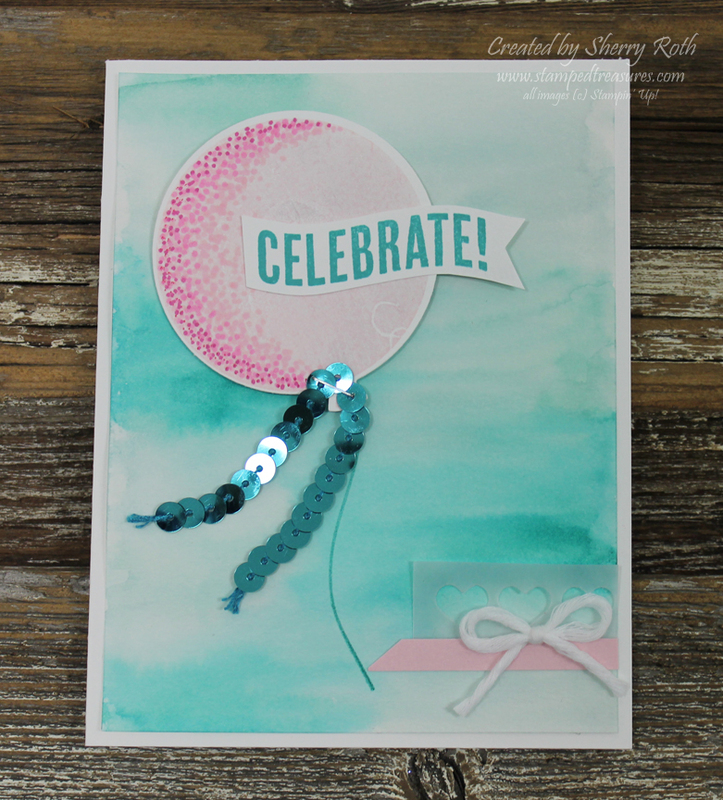 Because the balloon image is a solid image, I chose to stamp it in pink pirouette and then used the pink pirouette and melon mambo Blendabilities to add the dots. The background, which I love, was created using a watercolor wash technique. I started with a sheet of watercolor paper and wet the whole paper using a wet paint brush. Then I used my aqua painter and dipped it into soft sky ink refill and just spread it onto the watercolor paper in a few areas. I repeated this step with coastal cabana ink refill and then added a bit of Bermuda bay. It's a very forgiving technique because all you have to is add more water to either blend or lighten any of the areas. Really fun!